Pfc. Garland B. Burke, Jr., son of Mr. and Mrs. G. B. Burke, attended Davidson High School; husband of the former Helen Gregory. 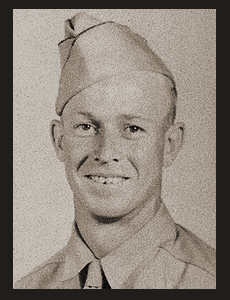 Entered the Air Corps in 1944, trained in Sheppard Field, Texas; served in Pearl Harbor.